Designed from traditional Greek Architecture. 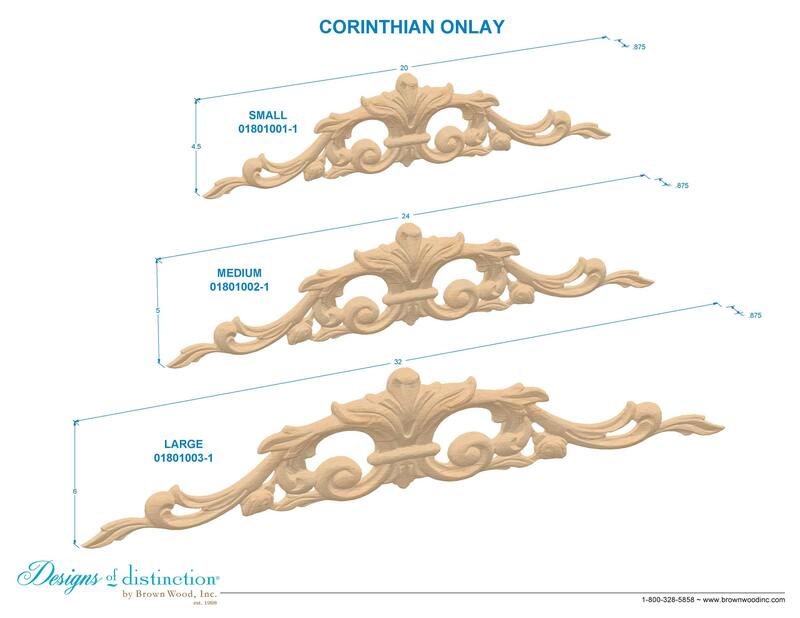 The intricate scroll carvings of this Corinthian Onlay resemble a beautiful wood fleur de Lis. Available in three sizes — large, medium, and small — apply to furniture, cabinets, fireplace mantels or other interior surfaces for an elegant visual impact. Shop for matching components in the Country French Collection.